For over 55 years, Dearborn has built successful futures with our partners. It is that commitment that allows us to remain top of class in the real estate education industry. 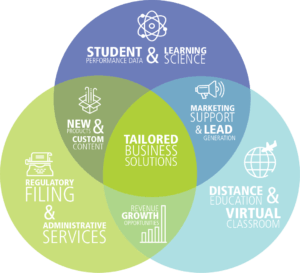 In order to provide the best experience possible, Dearborn has transformed into a full service educational provider, featuring the best content and support services in the industry. You can ensure your school’s success with Dearborn. When product information indicates “ARELLO® Certified” or “IDECC Certified,” the certification is for the current version of the course. Dearborn will submit the course for ARELLO® or IDECC certification prior to releasing it for sale in states where ARELLO® or IDECC certification is required.